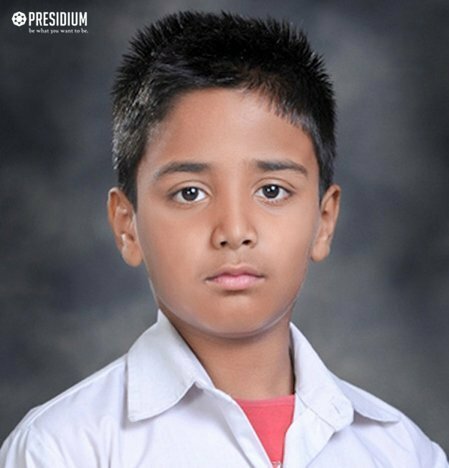 Aryav Vashist of Class IV, from Presidium Dwarka 22, has won 2nd Position in the 43rd Delhi State Open Roller Sports Championship-2016. 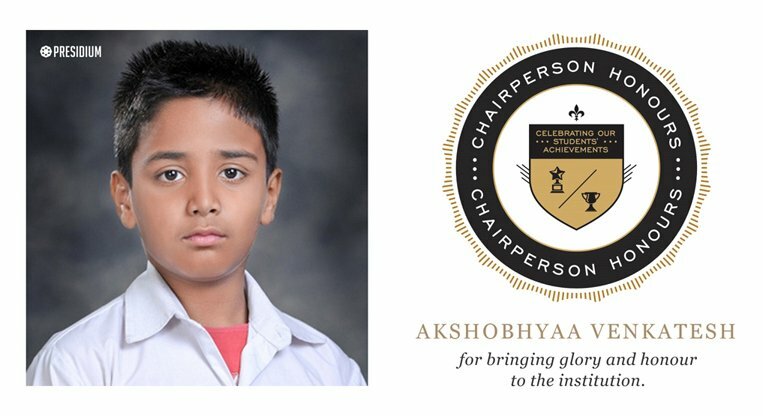 Akshobhya Venkatesh of Class IV, from Presidium Dwarka 22, has won 2nd Position in the 52nd Open Delhi State Aquatic Championship, 2016. 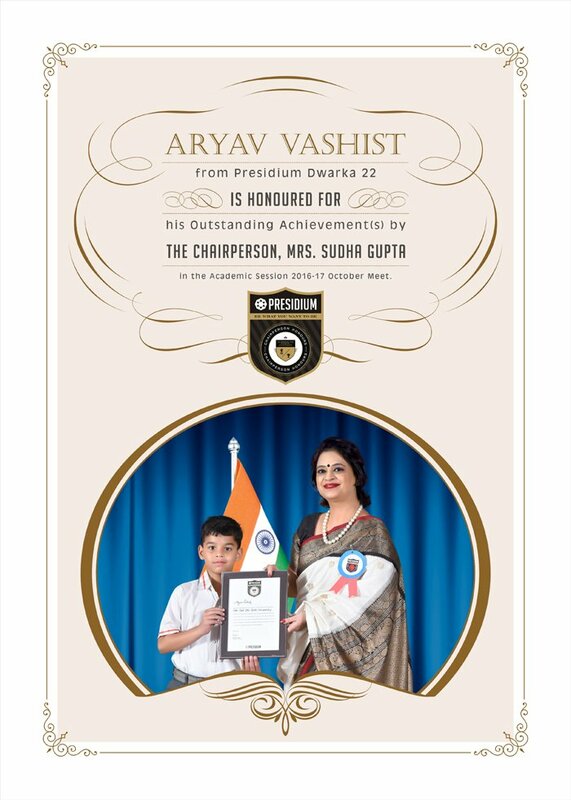 Devyanshi Gupta of class II G, from Presidium Dwarka 22, won a Silver Medal, awarded Rank 2nd at the International level, a Merit Certificate, a Participation Certificate and Gifts worth Rs 1000/- at the INTERNATIONAL ENGLISH OLYMPAID. 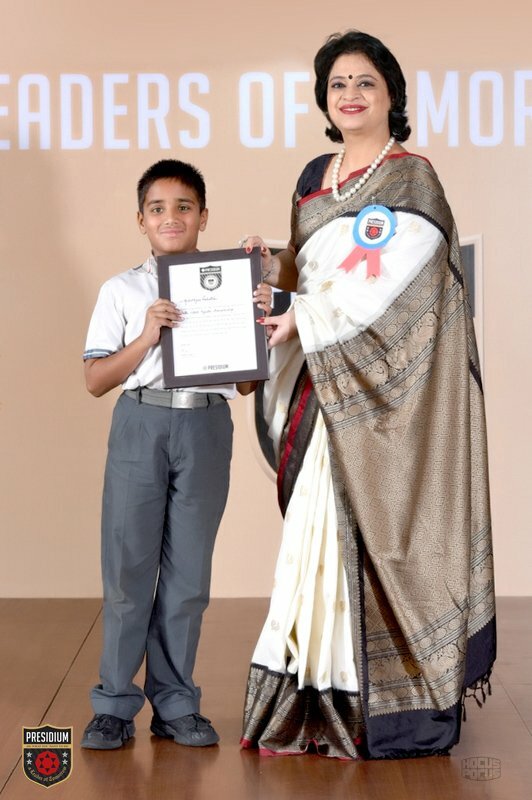 Saanjaly Vaishnav of class VII, from Presidium Dwarka 22, won a Silver Medal, awarded Rank 30th at the International level, a Merit Certificate, a Participation Certificate and Gifts worth Rs 1000/- at the INTERNATIONAL ENGLISH OLYMPAID. 2. Won 2nd position at the Zonal Solo Classical Dance Competition. 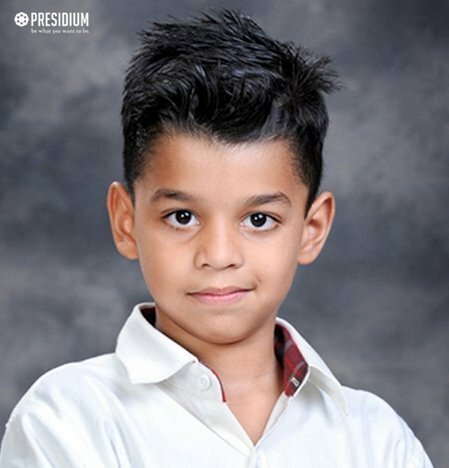 Ishan Chanana of class IV B, fromPresidium Dwarka 22, won a Gold Medal of Excellence, awarded Rank 14th at the International level, a Merit Certificate, a Certificate of Excellence and Gifts worth Rs 1000/- at the INTERNATIONAL ENGLISH OLYMPAID. She has won a Merit Certificate at the 8th SOF International Mathematics Olympiad. 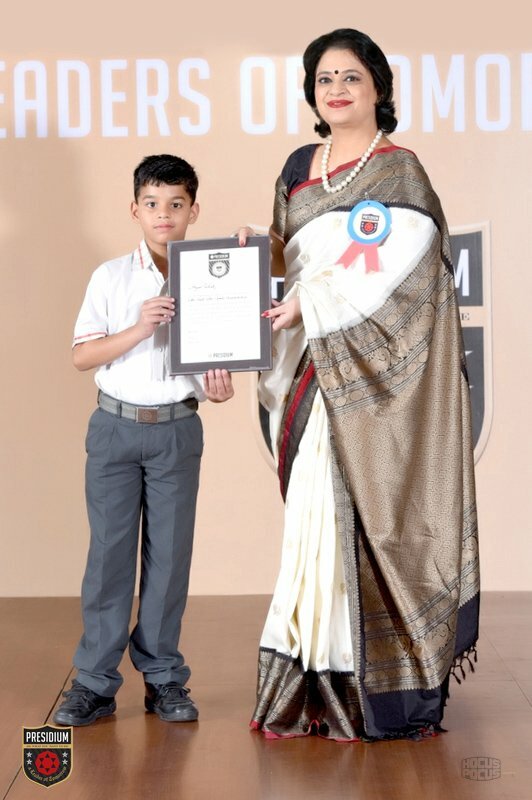 Jiya Groverof class IV A, fromPresidium Dwarka 22, won a Gold Medal of Excellence, awarded Rank 18th at the International level, a Merit Certificate, a Certificate of Excellence and Gifts worth Rs 1000/- at the INTERNATIONAL ENGLISH OLYMPAID. Vanshika Gupta of class IV A, fromPresidium Dwarka 22 , won a Zonal Gold Medal, awarded Rank 4th at the International level, a Merit Certificate, a Certificate of Excellence and Gifts worth Rs 1000/- at the INTERNATIONAL ENGLISH OLYMPAID. She was awarded Rank 137th at the International level, Rank 7th at the State level, and a Merit Certificate at the 14th SOF National Cyber Olympiad. She was awarded Rank 172nd at the International level, Rank 8th at the State level and a Merit Certificate at the 8th SOF International Mathematics Olympiad. She was also awarded Rank 322nd at the International level, Rank12th at the State level, and a Merit Certificate at the 8th SOF National Science Olympiad. 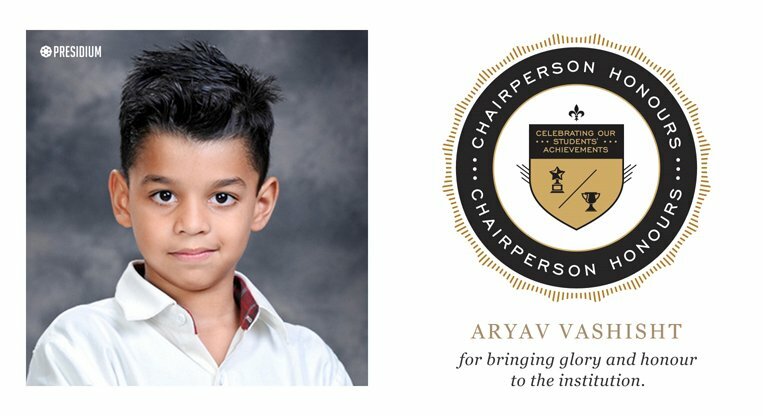 Navya Jain of class III C, from Presidium Dwarka 22, won a Gold Medal of Excellence, awarded Rank 18th at the International level, a Merit Certificate, a Certificate of Excellence and Gifts worth Rs 1000/- at the INTERNATIONAL ENGLISH OLYMPAID. Anisha Sehgal Won a Zonal GOLD Medal, awarded Rank 4th at the Internationl level, a Merit Certificate, a Participation Certificate, and Gifts worth Rs 1000/- at the INTERNATIONAL ENGLISH OLYMPAID. Nandini Mathur of class III D, from Presidium Dwarka 22, won a SILVER Medal, awarded 2nd Rank at the International level, a Merit Certificate, a participation Certificate and Gifts worth Rs 1000/-at the INTERNATIONAL ENGLISH OLYMPAID.